Albania and Macedonia should start EU accession talks, but human rights abuses mean Turkey negotiations should stay on hold, the European Commission is to say. 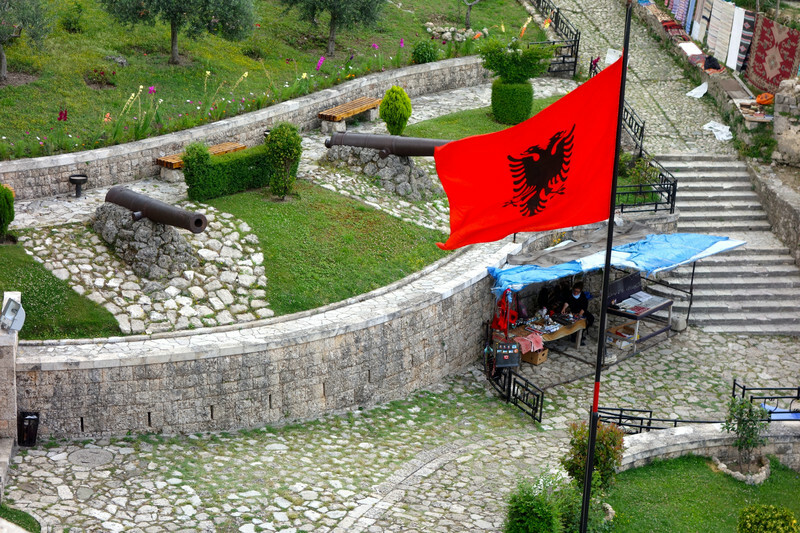 "In light of progress achieved, the European Commission recommends that accession negotiations be opened with Albania", the commission is to say in its yearly enlargement report, due out on Tuesday (17 April), according to a draft seen by EUobserver. The draft used the same formula for Macedonia. 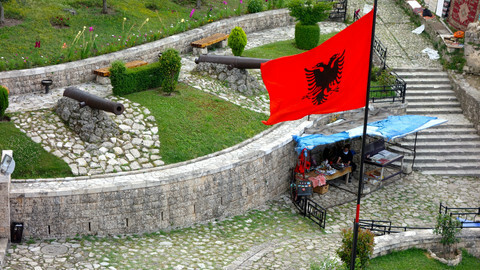 The recommendation is the first one ever for Albania. It comes 15 years after it signed its first EU 'stabilisation' pact and some 10 years after the Western Balkan state, which used to be a communist dictatorship, joined Nato. The commission has been saying Macedonia was ready to start talks since 2009. EU states never agreed to do so because Greece vetoed it on grounds that Macedonia's name represented a territorial claim to a neighbouring Greek region of the same name. 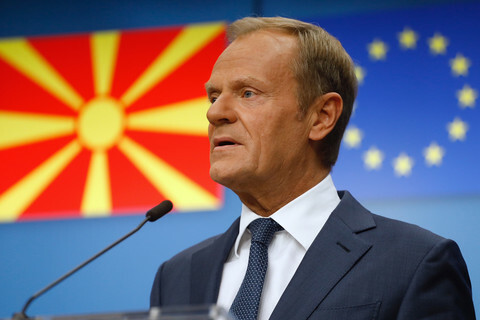 But Tuesday's recommendation comes amid EU hopes that Skopje and Athens are close to finding a solution, enabling the EU Council to actually open talks with Macedonia later this year. It also comes amid a new commission strategy to speed up enlargement. 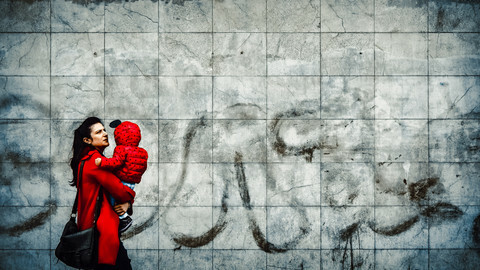 Reformist 'frontrunners', such as Serbia and Montenegro, should be able to join the EU in 2025, it said in a strategy paper in February, amid preparations for a special Western Balkans summit in Sofia in May. EU foreign ministers will also discuss the Western Balkans at a meeting in Luxembourg on Monday. They will restate their "commitment to facilitate dialogue between Serbia and Kosovo" on normalising relations and discuss security issues in the region, an EU diplomat said. They might also discuss how to refer to Kosovo, which is not recognised by five EU states, in the Sofia summit declaration, the diplomat added. The EU speed-up on Western Balkans stands in contrast to its standstill on Turkey. "Respect of the rule of law and fundamental rights and freedoms is an essential obligation, which Turkey must meet as a candidate country. The continuing negative trend in these areas do not justify the opening of new negotiating chapters in the accession process," the commission's draft report on Turkey said. Turkey started accession talks in 2005. 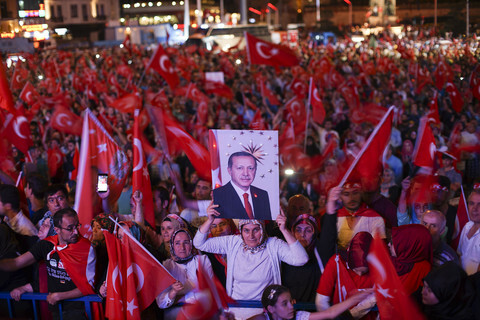 They went slowly, then ground to a halt two years ago amid a failed coup against Turkish president Recep Tayyip Erdogan and his subsequent crackdown. The commission report urged Turkey to lift its state of emergency and spoke of "serious backsliding" on issues such as jailing journalists, judges, and opposition MPs. 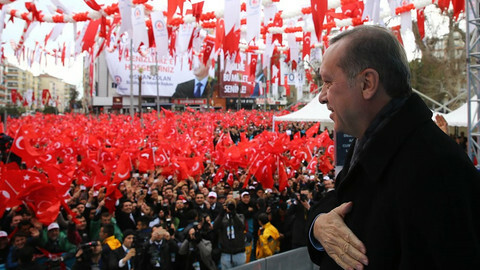 "Bilateral relations with several EU member states deteriorated markedly in 2017 and Turkey's leadership resorted to extremely offensive and unacceptable rhetoric," it added, referring to Erdogan's public rants against "Nazi" practices in Germany, among other comments. The commission's draft report commended Turkey's "outstanding efforts" in sheltering almost four million refugees and confirmed that the EU wanted to renew a deal with Erdogan to stop them from coming to Greece in return for aid money and other perks. "The cooperation with the EU on migration continued to deliver concrete and remarkable results", the commission said. 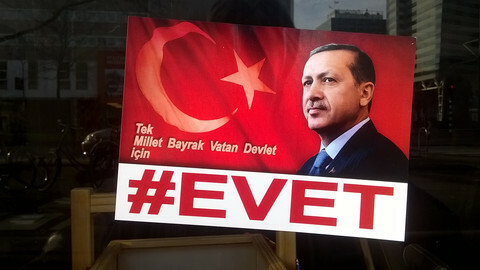 It noted that Erdogan met with top EU officials in March in Varna, Bulgaria. 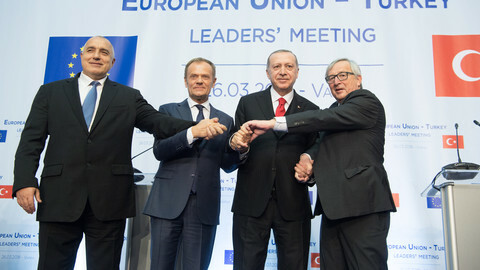 But that mini-summit was created to help him save face after being excluded from the Western Balkans enlargement summit in Sofia in May, EU sources said, and after the commission decoupled Turkey from its Western balkans push in February's strategy document. "The Turkish government reiterated its commitment to EU accession, but this has not been matched by corresponding measures and reforms," the commission draft report said. The EU is preparing to pledge a 2025 deadline for the next wave of enlargement, a leaked paper says, but Balkans disputes could hold things back. EU leaders are preparing to restate their vows on Western Balkans enlargement in Sofia amid heightened competition from Russia.